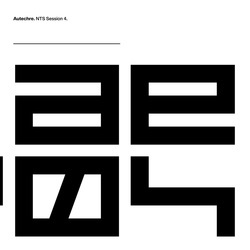 Autechre - Autechre - NTS Session 4. Vinyl LP. NTS SHOP. NTS Sessions was originally aired as part of a month-long residency at NTS Radio and new music from Autechre. 3LP in printed inners sleeves in wide spine printed outer sleeve.